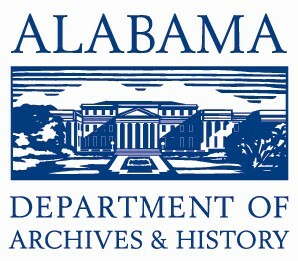 Editorial criticizing the memorial address delivered by George Bancroft on the birthday of the late President Lincoln. 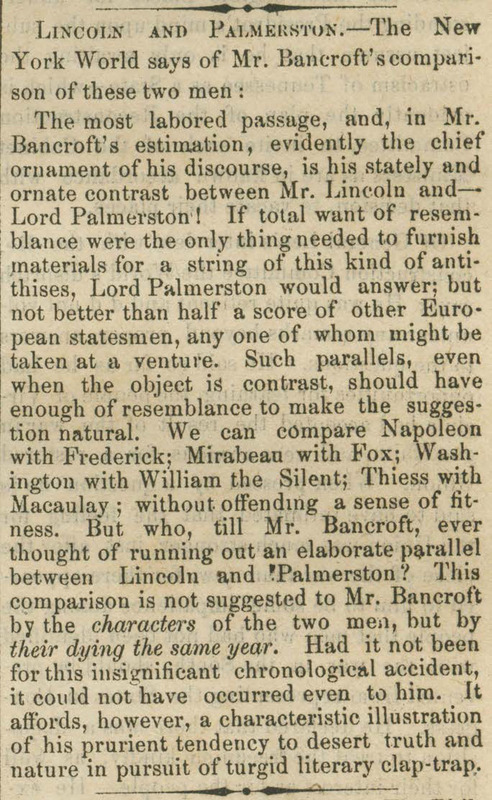 In particular, the piece scoffs at the comparison drawn between Lincoln and Lord Palmerston of Great Britain: “This comparison is not suggested to Mr. Bancroft by the characters of the two men, but by their dying the same year. Had it not been for this insignificant chronological accident, it could not have occurred even to him. It affords, however, a characteristic illustration of his prurient tendency to desert truth and nature in pursuit of turgid literary clap-trap.” Originally published in The New York World; reprinted in the Montgomery Daily Mail on February 23, 1866.